I can't believe it is Monday again already. This past week has flown by for me and a lot of changes are getting ready to take place. I will share that later, but today is "You Inspire Me Monday", and I am very excited about this weeks featured blogger. Have you met Jacqueline from Cabin & Cottage. and it reaches into your inner longings and makes you want more. Each time I visit, I want to just move into her house and take up residence. Lunch on the patio? Yes please. It's definitely a place to stop and smell the flowers so give yourself lots of time. All photos are from Cabin & Cottage so if pinning, please go to the original page. Aren't these wonderful photos! Nostalgia and cheer all wrapped up in one. That is the most peaceful scene, and so beautiful. Thanks so much Laura! So nice to be mentioned here! What a wonderful blog! Thank so much for the sharing it with us! Can't wait to stop by for a visit! Beautiful! I love the softer colors as shown here, but I also love my reds and bolder colors, too. So, I try to have them both in my home. Just in different rooms! Thanks for the link...will be visiting there soon. The pictures are all so beautiful they take my breath away. 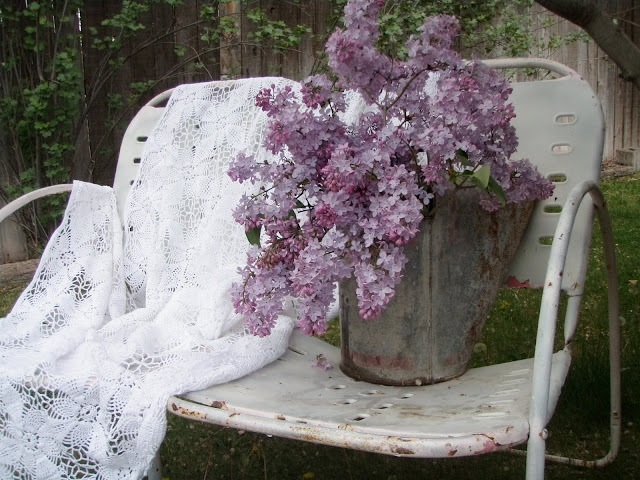 I love the white afghan and lilacs together. What a reminder of spring. Laura... thanks so much for introducing us! Will definitely jump over there to say hello. Can't wait to hear about the changes that are coming... hope they are wonderful! You deserve the best! Beautiful pictures. I'm off to check more. 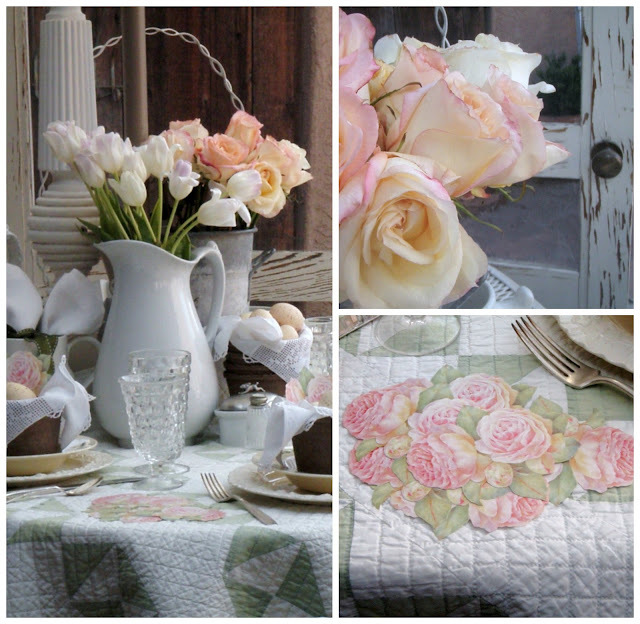 This is so quintessentially Spring! Love the pastel hues!! I always come to your blog for a happy fix!